FastMed Urgent Care helps you to manage chronic conditions like heart disease, COPD, and diabetes. All chronic conditions have ways to monitor their severity; for diabetes, you need to monitor glucose levels in blood tests. All of our Fast Med locations have on-site labs that produce fast results and save the time and money because we don’t have to ship samples to another vendor. FastMed walk-in clinics are available 365 days per year and are open early in the morning and late in the evening. There are a number of conditions that can be identified or diagnosed by glucose levels in blood tests. How your body applies sugar from the food you eat is managed by two hormones: insulin and glucagon. Diabetes is diagnosed when the glucose levels in a blood test are 200 mg/dl (milligrams per deciliter) The most common form of diabetes is type 2, which is a condition that occurs when your body cannot make enough insulin or the cells in your body do not use insulin well. Ask the medical professionals at your FastMed Urgent Care office about whether or not you need medication to get your blood sugar under control. You can check your blood sugar at home, but it is recommended that you receive a blood test called hemoglobin (Hb) A1C a few time per year. Get scheduled for your testing at FastMed. We accept most major insurance plans and can help acquire supplies to monitor your glucose levels at home. Approximately 18% of pregnant women develop gestational diabetes around the 24th week. Because gestational diabetes occurs later in the pregnancy, it does not normally cause birth defects, nor does it mean you or your baby will have diabetes when the pregnancy is complete. Hypoglycemia is a condition characterized by abnormally low blood glucose (blood sugar) levels, usually less than 70 mg/dl. Hypoglycemia is also sometimes called insulin reaction or insulin shock. Symptoms of hypoglycemia come on quickly and may have a simple remedy. If you’re experiencing issues, such as discomfort, and want to consult with a doctor, we invite you to stop in at FastMed Urgent Care. Hyperglycemia is also called prediabetes. It is a condition where the glucose levels in blood tests come back high but not quite high enough to be classified as diabetes. 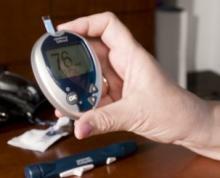 People with hyperglycemia are at risk of developing Type 2 diabetes and cardiovascular disease.